Well, I’ve still got my stash and the turntable so I’m ready for the revolution. Didn’t know it was coming though. Does that mean I’m in fashion without even knowing it? Typical. Funny, we were only talking about this the other day, what with a (rather expensive) return of vinyl. Now, I’m not one to decry technology – I love the fact that I can have so much music with me at all times, can shuffle my collection and have playlists of my favourites – but there was always a special and physical relationship between an LP and its purchaser which has, I feel, been lost, particularly now that we can ‘invisibly’ download music. 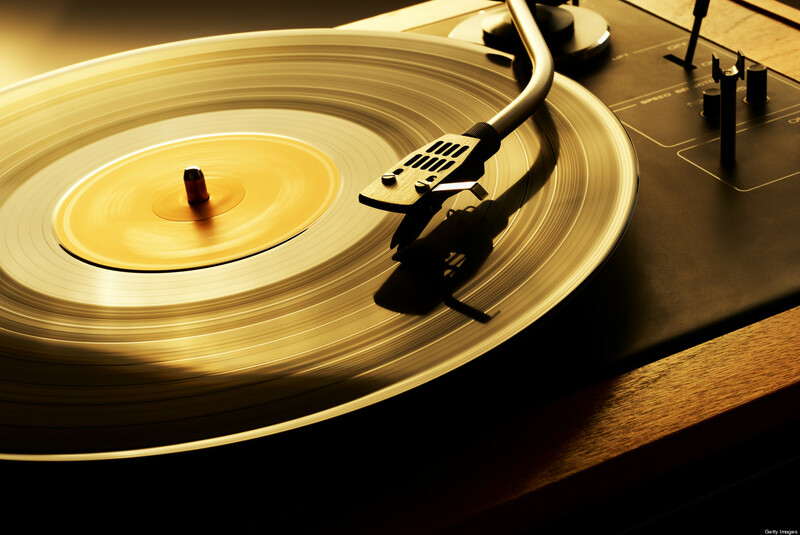 There was something about touchimg the sleeve, pulling out the inner and touching the vinyl which no longer exists. And what happened to reading the lyric as you listened? Fine.words, Anne-Marie. Thank god I’m not the only one to bury their nose in a new book! Love it! Even old ones. But they can be a bit dubious! I have only junior high and high school 45’s but they have a few fun ones that work well with the crackles, like Johnny Cash with, “A Boy Named Sue” and ” What is Truth?” Don’t they “age me? Did you see my “Feelin’ Groovy” post where I was heading to a dance at the senior center? 🙂 You may like it, not sure. . .
And now I miss my vinyl even more… hope to be able to dig it all out soon. There’s nothing like those familiar cracks and pops. Especially when paired with a well-loved actual book. Need to get at all those boxes soon!